We've been watching the animated TMNT show and it's delightful. I really liked TMNT when I was a little kid and this cartoon, while different, is still pretty good. 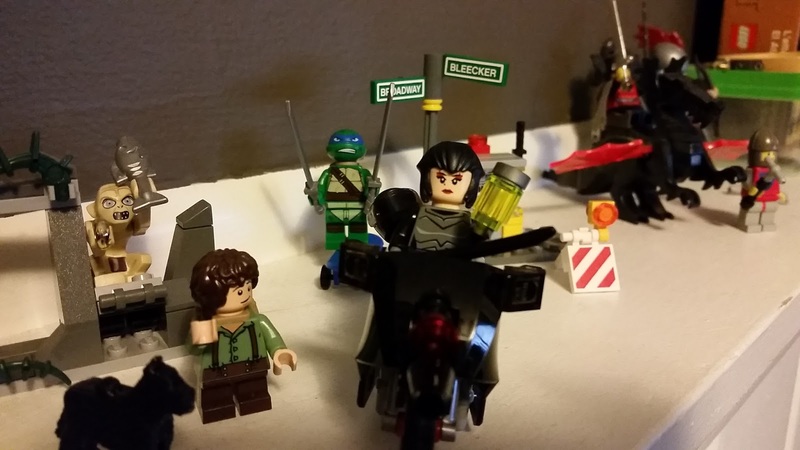 So when I arrived home Chris had a small lego set for me with Karai and Leo. Leo was the one I always liked the least, but with this new animated cartoon he's less insufferable and more amusing. I'm really starting to get quite the collection of LEGOs.